Dr. 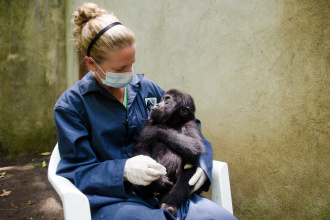 Dawn Zimmerman is the Director of Wildlife Health and Associate Program Director for Smithsonian’s Global Health Program where she focuses on using a One Health approach to wildlife health issues and for the conservation of endangered species. 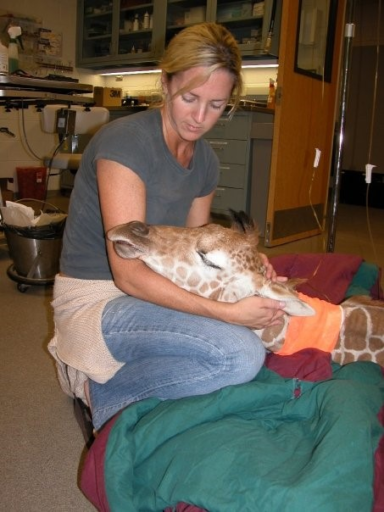 Zimmerman has worked in the field of zoological and wildlife medicine for over 15 years. She completed her Master of Science from San Diego State University and her Doctorate of Veterinary Medicine from Ross University. Her master’s degree research focused on the development of techniques for reproductive assistance in exotic canids and she has a particular interest in the conservation of African carnivores. Zimmerman’s field experience includes conservation medicine and capacity building in the Russian Far East, El Salvador, Madagascar, Namibia, South Africa, Kenya, Ethiopia, Uganda, Rwanda, and the Democratic Republic of Congo. Zimmerman is the Global Lead for the USAID Emerging Pandemic Threats PREDICT program in Kenya, working to detect the next pandemic human pathogens by investigating the animals most likely to harbor them. She holds an affiliate faculty position at George Mason University and adjunct faculty position at the University of Nairobi, is an associate editor for the Journal of Zoo and Wildlife Medicine, vice-chair of the American Association of Zoo Veterinarians’ Development Committee, member of the National Science and Technology Council’s Pandemic Prediction and Forecasting Science & Technology working group, scientific advisor for the Gorilla Doctors at the University of California at Davis, and veterinary advisor for the Tapiridae Taxon Advisory Group and Species Survival Programs. Her primary research interests include applying a One Health approach to the conservation of critically endangered wildlife species and the mitigation of emerging infectious diseases at the wildlife-human interface.